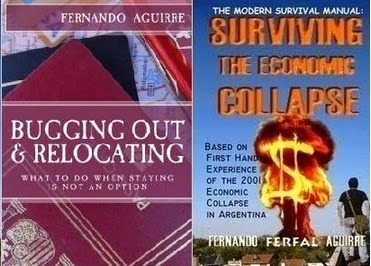 Who has it worse when SHTF/Blackouts/Etc.? OK folks, let’s call a spade a spade, shall we? We all know what’s happening given the recent storms and power outages but the truth is, some people just have it worse than others and this gentleman explains it pretty clearly. First, it’s just common sense that a company focuses on restoring service where most people are being affected. If 12 hours of work restores power/water/gas/keeps safe 50.000 people, then any smart resource manager will to that before spending 6 hours to restore service for 5.000 people let alone a few dozen. This is where a lot of the widely accepted survival myths fall apart. “I live in my BOL homestead already and I’m a much cooler survivalist than you! I spent two weeks without power, used my 100.000W generator and spent 5000 USD in gas.” On the other hand, someone that doesn’t live a gas tank away from the nearest town, in a place with better infrastructure, didn’t even go without power, or if he did it was restored within a few hours. Then you have the other point the man in the video mentions, and he’s absolutely right too. Given somewhat equal population masses, nicer areas get taken care of first. Why? Because those are the ones with more financial and political power, maybe were the company’s own executives live themselves. Besides, no company wants to upset those that may end up deciding if they get a new contract or not, if they are authorized to expand or get safety approvals. While this is of course unofficial, it is common sense as well. So keep all this in mind when making up your mind regarding where to live and which places are better off. In novels super hero survivalists may win the day, but in the real world living in isolation has several disadvantages, and its not just about power. Take a good long look before moving somewhere with poor infrastructure or too isolated to care about. The same principle applies to security and policing, water, public infrastructure and environmental hazards among others. 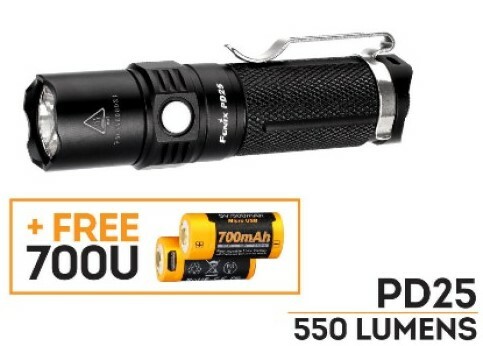 Pretty relevant given the recent problems with power outages in USA, Canada, UK and South America, Streamlight has some nice discounts worth considering. This is a no-nonsense EDC/Tactical light that uses a single CR123A battery. Hi (110 Lumens) , low (12 lumens) and strobe mode. Very solid construction which includes a crowned bezel and a pocket clip. This seems pretty standard for modern LED lights these days but there are a few things to notice. First, this is a Streamlight. There’s a thousand different flashlight brands out there, some of very good quality, but most are just outsourced to China, a name-brand is added and that’s that. Most of the well-known LED flashlights we see are actually made in the same Chinese facility. Streamlight is a different creature. Don’t be surprised if this 110 lumen light is brighter than some “300” lumen LED flashlights floating around that simply don’t have the same tough standards to abide by. While some parts are made in China, Streamlight is a company with unquestionable quality control that has made flashlights for NASA and the US military. The kind of research and development and quality control Streamlight does costs millions. Other than Surefire, most other companies just don’t have anything along those lines in terms of quality control and testing. So when you find a product like this that costs under USD 40 you’re getting a heck of a lot more light than what meets the eye. There’s a reason why Streamlight Protacs have over a thousand 5 star reviews in Amazon. Streamlight quality, these are made specifically as ballistic helmet lamps. It doesn’t get any tougher than that. The Streamlight 14512 Sidewinder Compact II Military Model Angle Head Flashlight also comes with a strap to use as an ordinary headlamp. The flashlight isn’t eye-burning bright, but it has various brightness settings including a high mode of 55 lumens with CR123 batteries. What makes this headlamp a winner besides being tough, is the ability to use both CR123 and AA batteries alike. Unofficially speaking, it also handles AAA if you are a bit careful, though it may not be as reliable as with the first two types of batteries. Besides the white C4 LED, it also has an IR, Blue and Red LED. The wide variety of light options along with its toughness, plus the ability to just scrounge most common batteries around makes this an ideal survival light. I hope you spent a joyful day, surrounded by loved ones. 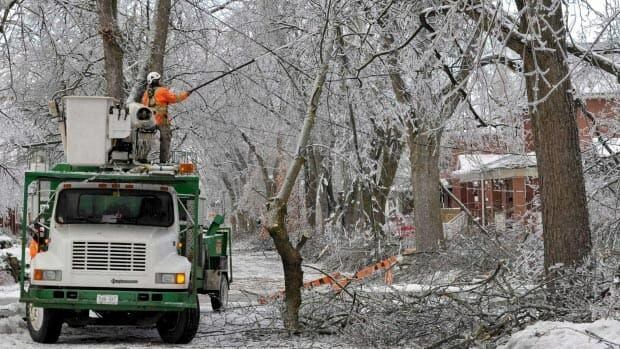 This year, hundreds of thousands have spent Christmas dealing with extraordinary circumstances: Hundreds of thousands have spent the day without power in Argentina, Canada, USA and UK. England and Scotland has been hit by hard storms these last few days. The storm has left 75.000 homes across UK without power and many areas such as Surrey and Dorcet are flooded. Evacuated people have spent Christmas in shelters. 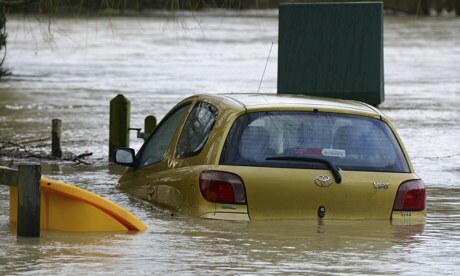 25 people have been rescued in Dorset, trapped in their cars by flood water. The storms and floods also affected Mexico and Brazil, with 50.000 affected in Brazil alone. Argentina, Uruguay and Paraguay have been affected by heat waves. Argentina is still struggling with its power problem, many having spent over six days without power by now. Red alert has been declared in Argentina due to feel like temperatures that have reached 111.2 ºF. Meanwhile, USA and Canada are dealing with climatic struggles of their own. 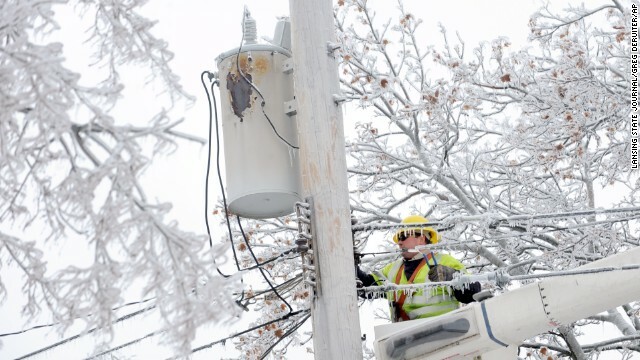 The storms have left nearly 800.000 people without power while dealing with freezing temperatures. Quebec, Toronto and Michigan are some of the most affected cities. As you can see, a lot of people are struggling this Christmas. Let’s keep them all in our prayers. It is because of situations like these that we do what we do, prepare so as to get by such emergencies as best as possible as well as preparing for life in general. I have one of these and its a beast of a Leatherman mulittool for that kind of money. Too bad the offer doesnt last longer. The paklite is a great idea but hugely overpriced. Ten bucks (and up to THIRTY for "upgraded" modules) for a piece of hardware that probably costs a few cents to make. Pass. You Bring up an excellent point. Look, I make money out of everything that is sold through my website on Amazon and I’m ok with that. That doesn’t mean readers shouldn’t be careless about spending every single hard-earned buck. Do tons of research before buying anything! 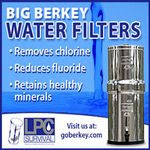 I do plenty of reviews, check the ones on my youtube channel for a closer look when researching. If I do recommend something, it is mostly gear I feel more than confident about, with plenty of good reviews and usually years of using it myself. You don’t need to go crazy. A well put EDC kit will go a long way. A well rounded set of supplies at home will get you through most likely events. Just remember the following: 1) know the basics which are common to everyone. You need to stay warm, you need water, food, means of cooking, means of purifying more water, means of self-defense. You need both a first aid kit and knowledge of how to use it. 2)Know your own personal circumstances for which you need to prepare. If you live in areas where extreme cold temperatures are a potential problem then you need means of heating as well as cooking food. Maybe you are good to go with a good kerosene heater and you don’t need to spend more money on a big generator and electric setup for blackouts. Maybe you have a medical condition yourself or a family member for which you need to make extra preparations. Learn to differentiate between the must-haves, and nice to haves or just silly toys. For things such as food and water, you just can’t have too much of it because you are still going to use them no matter what. Redundancy is also important for essential supplies such as flashlights, water purifiers and first aid kits, and to a lesser degree firearms and other tools. Still, learn to be honest with yourself. If you have over 20 guns and over 50 “survival knives”, chances are you’re well past “need” and deep into “hobby/collector” territory. There is nothing wrong with that as long as you are at least honest with yourself. Finally, keep in mind that while certain supplies and gear are simply must-haves, many of the most important steps towards modern survival have nothing to do with “stuff”. Things such as staying fit and healthy so as to avoid getting sick as often or be capable of doing physical labor, fighting and running away from danger, having savings to deal with life’s little or large financial problems, having health and life insurance in that rare case of you getting sick, or the even rarer case of you actually dying some day. Last but not least, learning and teaching your kids valuable life skills, enjoying yourself while doing so and making the most of the time we have.